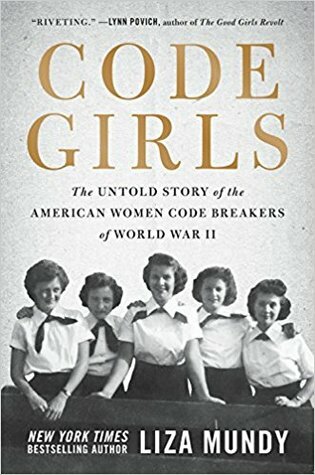 In the case of Code Girls: The Untold Story of the American Women Codebreakers of World War II, the three words would be fascinating, absorbing, and meticulously-researched. I’ve a library of 100s of WWII books, this one rates near the top. Oddly, it tells a broad brush of WWII that is highly accurate, carries all the major details, and flows naturally as part of the back story. This author earns her pay even just on research, yet it’s also very well written and even a page turner. It also has something very valuable to me as a man, it gives me a perspective into what happens for females when provided the same opportunities I was provided as a man. That brings me to pause, because I took for granted my privilege as a white male throughout my career. I somehow learned the same lesson that this book teaches because throughout my now past career in logic and programming, when in a position to hire, I more often found females were those who did more to further technical teams and projects. Part history, part multi-subject biography, this non-fiction work by Liza Mundy will tell you a lot about its subjects’ contributions and a lot about the socio-cultural context in which their work was done. What it won’t tell you much about is the nature of the American, German, and Japanese codes and ciphers, nor about how they were broken. There’s enough detail to give you the flavor, but that’s enough. If you really want the details — and, as we know, God is in the details, or the devil is in the details, depending on who you’re listening to — read a different book, or take a course on cryptology! I first listened to the excellent audiobook version, by the way, and then I switched to the paperback version. The photos just weren’t very clear on the audiobook.